The Forzaspira range exemplifies Polti's commitment and mission in the design of simple, practical products which can be a valuable aid in the daily organisation of household cleaning. For every need and requirement, the Forzaspira range includes compact cylinder vacuum cleaners with cleaning accessories for every surface, cordless and corded stick vacuums for faster cleaning and window cleaners for cleaning glass and mirrors. The Polti Forzaspira range offers a wide choice of bagless vacuum cleaners and filtration technologies, making it possible not just to capture the finest dust but also to retain it without scattering. The CYCLONIC technology is based on the presence of a single large cyclone in the dirt collector able to separate the smaller dirt particles from the larger ones, thanks to the force generated by the cyclone. Any fine particles not filtered by the cyclone are then trapped by the HEPA filter in the output. Alternatively, the MULTICYCLONIC technology includes numerous smaller cyclones, in addition to the main cyclone, which increase the degree of filtration by separating even the finest dust particles. The presence of the HEPA or EPA filter and multi-stage filtration make sure that the dust is not reintroduced into the environment, making the air cleaner. In accordance with the European Directive n. 2010/30 / EU, the energy label aims to guide the consumer towards the purchase of an energy-efficient product. Based on performance, vacuum cleaners are divided into seven energy classes from A to G. Class A indicates the most energy efficient product. The label also provides other information: energy consumption in a year of use of the appliance, how much dust the model re-emits into the environment from the output motor during use, noise level, the performance class for carpet cleaning and the performance class for floor cleaning. 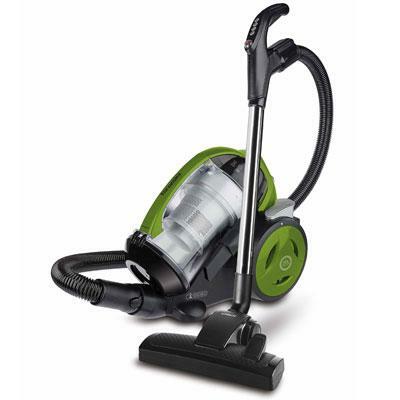 Class A vacuum cleaners are those with the most efficient, highest performance. 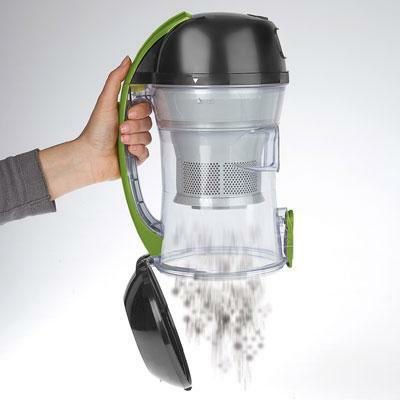 Polti offers vacuum cleaners up to the triple-A class in its range, to meet all cleaning needs with a focus on saving. Compared to conventional batteries, the lithium ion batteries used in the Forzaspira SR range of rechargeable stick vacuums accumulate energy faster, do not suffer from the 'memory effect' and last longer since they lose their energy capacity more slowly. The advantage is to be able to recharge the appliance at any time without having to wait for the battery to go completely flat. Pretty handy, since it means you can always have your appliance charged, avoiding unnecessary waiting, especially when a "lightning" clean around is needed. Cleaning windows has never been easier. Forzaspira window cleaners are cordless, rechargeable, and light to manoeuvre. They are ideal for cleaning all the windows of the house, but also other smooth surfaces (such as tables), mirrors, tiles and shower screens. Simply treat the surfaces with a damp cloth with water or with your favourite cleaning product. The Forzaspira window cleaners collect the moisture and dry with one sweep.